Currently unsigned, Lyrikal Assasin is an artiste managed by Question Mark Music. He started making 'GOOD' music right from his high school days. He's also a producer, he produced a song off Terry Tha Rapman's soon-to-be released album. He also won the BitBender's Freestyle Friday. His debut song titled 'Las Gidi' Ft Emmsong was recorded in his studio. 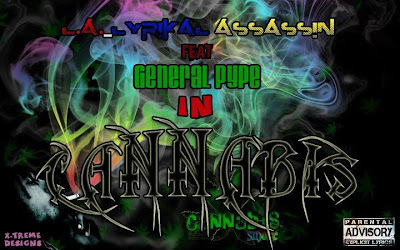 Here's a brand new joint from L.A titled Cannabis which features General Pype. This joint right here is another confirm JAMMMM!!!! Club Banger!! This is one song you'll fall in love with at first listen. The track's available for download below, make sure you BUMP this one...Don't Dull! !